PERFECT SIZE: Small, compact laptop stand is perfect for working on a laptop seated or standing. 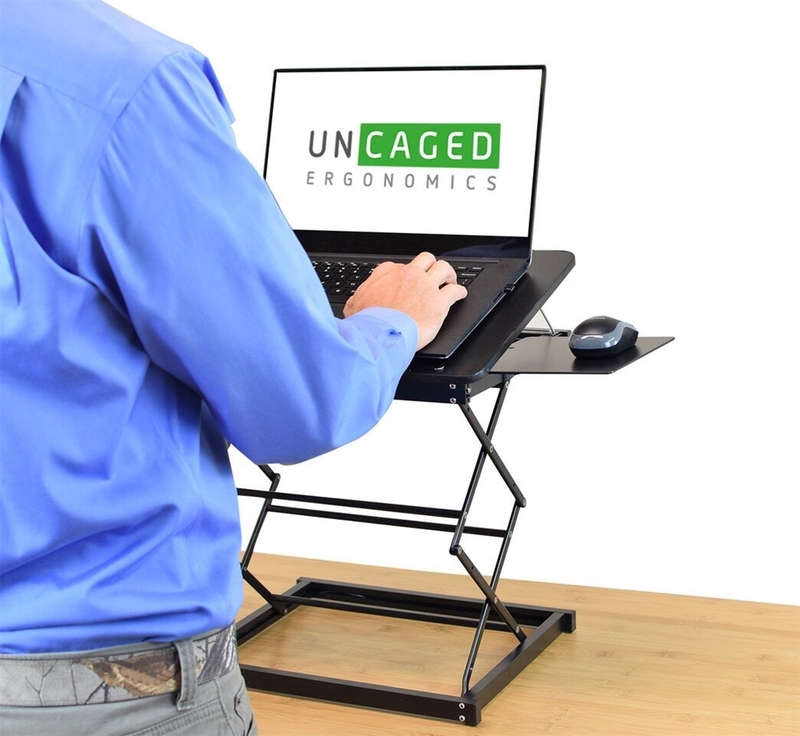 ERGONOMIC: Adjust the tilt, height and mouse pad to perfectly position laptops for optimal comfort. SIMPLE: easy to adjust, simple to stowe. 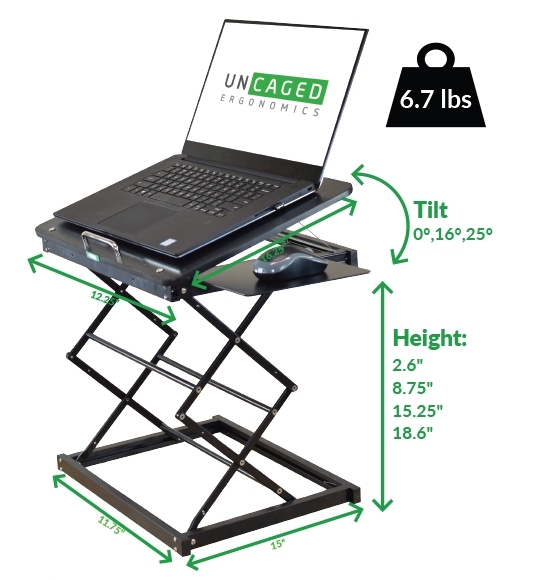 Work on laptops more comfortably with this revolutionary, simple sit-stand riser designed exclusively for laptops. SIMPLE: easy to adjust, simple to stow.